This week's update is here and we have a few of Abyssal changes. The bludgeon is receiving a buff to the special attack also as Scions and Orphans obtaining a graphical upgrade. We've additionally got Buy RS Gold duel arena win associate degreed loss chase and an updated report abuse interface! The Abyssal Bludgeon has been buffed to deal additional harm per missing prayer purpose with the special attack. For each prayer purpose you're missing the special attack can currently deal zero.5% additional harm instead of zero.3%. this can check that you are obtaining a trifle additional bang for your buck once you attempt to risk your prayer being low. 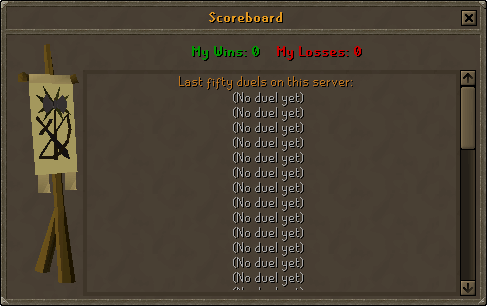 You can currently see what number wins and losses you've got had at the Duel Arena! Check the scoreboards found round the arena and you may be shown your wins and losses at the highest. You will even be shown a message within the chat box once a duel ends showing your total wins and losses. This message is filtered and may be hidden. Both the Abyssal descendant and Abyssal Orphan has received graphical upgrades. it'll currently be abundant easier to tell apart between Abyssal Spawns and Abyssal Scions throughout the fight against the Sire. Those of you lucky enough to induce your hands on associate degree Orphan will notice that it currently resembles a completely fledged Abyssal descendant.